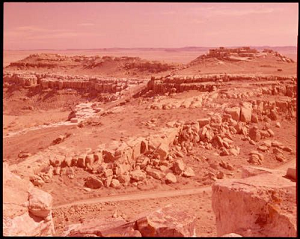 "Hopi Indian Villages on the Second Mesa, Arizon, 1950-1970" photograph, Josef Muench Collection (NAU.PH.2003.11.9.E8184). Special Collections and Archives, Cline Library, Northern Arizona University. 2006 Encyclopedia of Native American Tribes, Third Edition. New York: Checkmark Books.